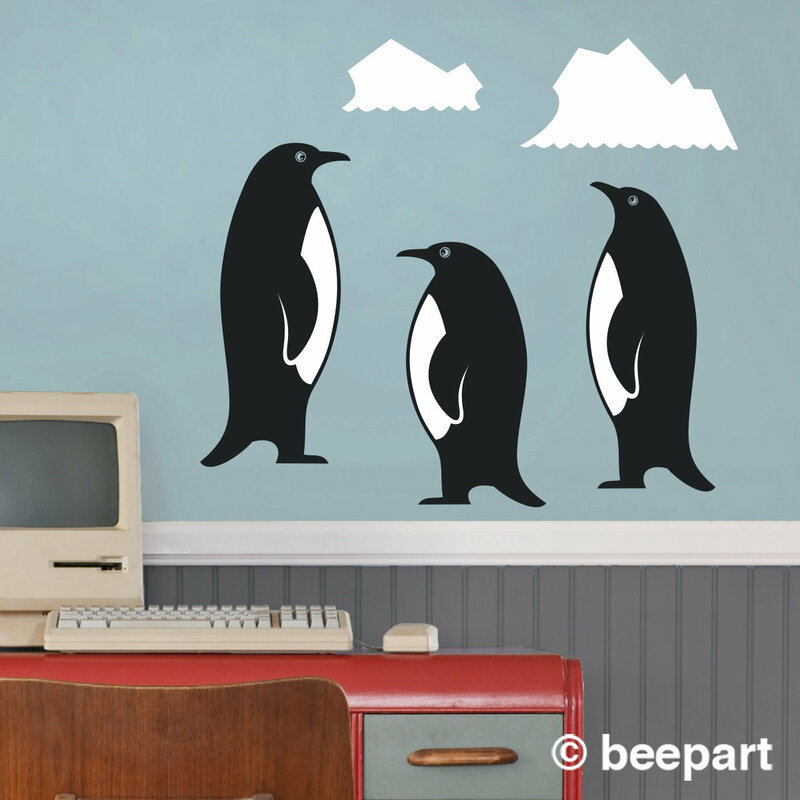 Friendly penguin family vinyl wall decal set, great for a child's room or nursery! 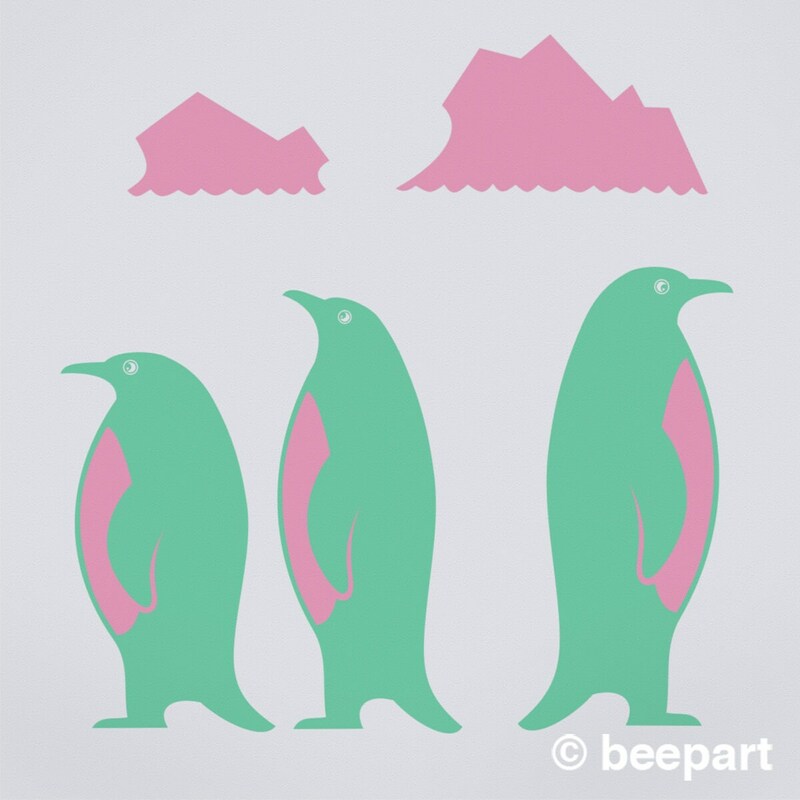 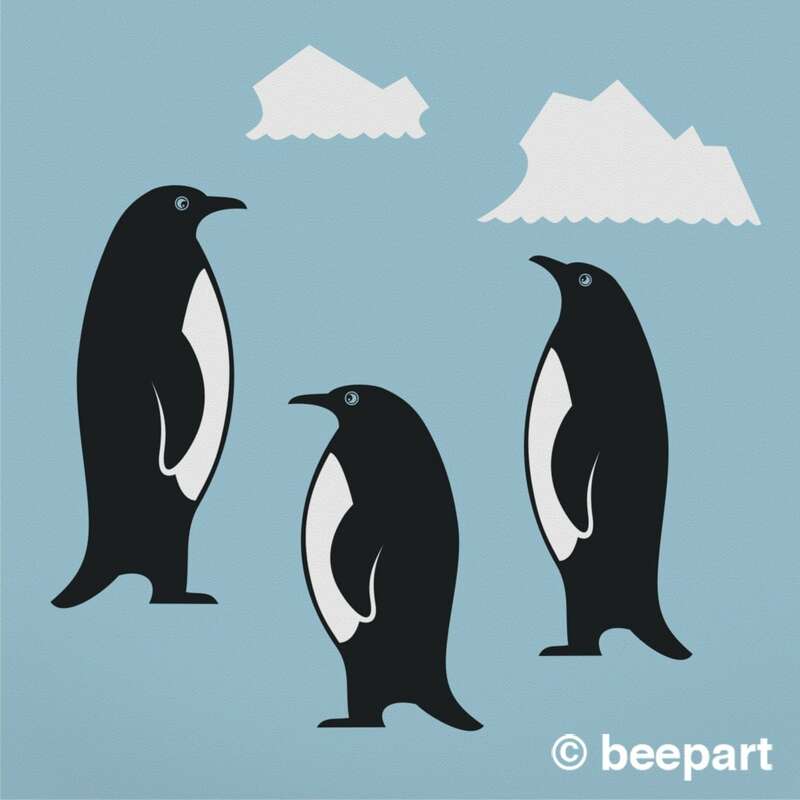 This listing is for a set of 3 friendly penguins wall decals with their very own Antarctic iceberg decals! 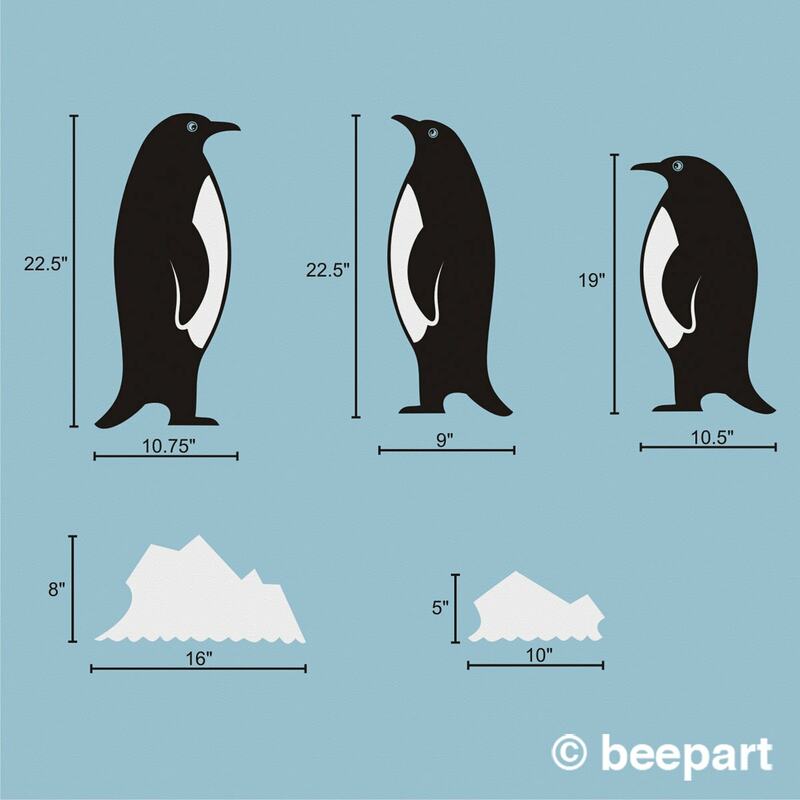 Large penguin 22.5" x 10.75"
Medium penguin 22.5" x 9"
Small penguin 19" x 10.5"
Large iceberg 8" x 16"
Small iceberg 5" x 10"